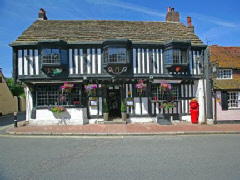 Places to stay: Alfriston itself offers a couple of notable options, namely The Star Inn (a part-14th century inn) and Deans Place (more modern but formerly a farm). Places to stay: The Greyhound in nearby Broughton (details at TripAdvisor) is an old inn with 17th century origins, while Highfield Country Guest House in Stockbridge is also close by and highly regarded by former guests. 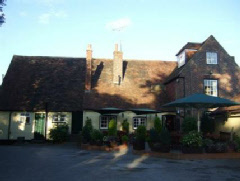 Places to stay: Ye Olde George Inn is a 15th century former coaching inn situated within East Meon itself. There are a number of holiday cottages available in and around the village, including Old Bell Cottage which sleeps 4. Places to stay: Although there are no traditional inns or period hotels offering accommodation within Hambledon itself, there are several options for the heritage-enthusiast nearby. The Bucks Head in Meonstoke is a 16th century inn which lies around four miles to the north, while the Grade-II listed Old House in Wickham is a similar distance to the south west. Places to stay: Little over a mile to the west of Chiddingstone, the small town of Hever offers two period accommodation options via the Hever Hotel (formerly a farm to Hever Castle itself) and the King Henry VIII Inn which dates from the 1600’s. Starborough Manor in Edenbridge is also worthy of note – while slightly further to the west, it offers luxury bed & breakfast accommodation and is highly rated by former guests (see TripAdvisor for reviews). 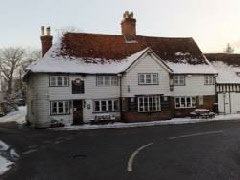 Places to stay: Bed & breakfast in Chilham is available via Holmlea B&B (although not specifically a period building) and The Woolpack Inn – details for both can be found via Chilham’s entry at LateRooms.com. Castle Cottage, which is situated within the walls of the castle itself, also offers B&B accommodation. Places to stay: The village possesses two period accommodation options, namely the curiously-named Abbot’s Fireside and The Rose & Crown. The former is said to date, in parts, from the 15th century, while the latter is part 16th century and part Georgian. More details on both can be found at TripAdvisor, or see our specific historic hotels entry for The Abbott’s Fireside. Places to stay: Being the neighbouring village of Chiddingstone (above) there are a number of period properties offering accommodation to the west. 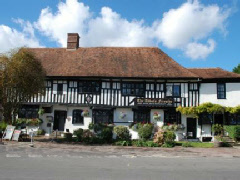 Places to stay: Smarden’s village inn, The Chequers, is reputed to date from the 14th century and offers 4 guest rooms including a four-poster suite, while bed & breakfast is also available at Snap Mill Cottage whose roots are said to be 14th century. 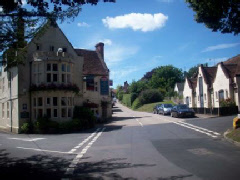 Located, fittingly, within an Area of Outstanding Natural Beauty (AONB), Amberley is most famous for its working museum and the castle of the same name (now a hotel). It has a resident population of little over 500 and is sometimes referred to as “The Pearl of the South Downs”. Places to stay: The history enthusiast will almost certainly be interested in Amberley Castle itself; a 900-year-old fortress turned hotel. 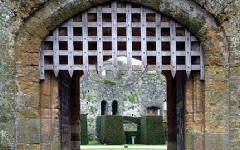 See our specific page for Amberley Castle. Places to stay: We are not aware of any accommodation within Lurgashall itself, but the 350-year-old Horse Guards Inn in Tillington (details available at TripAdvisor) is nearby, while Midhurst is home to two particularly historic inns: see the Nights in the Past entries for The Angel and The Spread Eagle.